Are you looking for information that goes beyond dates and facts? You can "put the flesh on the bones" of your ancestors through social and living history information. Michigan has wonderful historic places and sources that will help you understand what different times in Michigan History was like. Michigan Historical Museum-You can take an online gallery tour of exhibits on First People, Settling a State, Civil War, Farm and Factory, Lumbering, Mining, and Growing up in Michigan. Each one of these categories takes you to a wealth of information on Michigan History. Downward Bound-photographs and articles about the Great Lakes Shipping industry are featured here. Great Lakes Lighthouse Keepers Association-did you know that Michigan has more lighthouses than any other state? Michigan has over 100 lighthouses along it 3200 miles of shoreline. This website has historical pictures, articles, and information on lighthouse keepers. 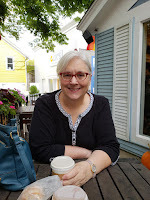 Museums-Michigan has many wonderful, historical museums from blacksmith shops, to railway, to civilian conservation corps, and mining museums. Check out the hundreds of museums that Michigan offers by clicking on the museum name, if the museum has a website it will provide a link that will take you to that museum for photos and more information. Detroit Historical Museum- a Detroit Historical Society museum has a variety of exhibits on display. It is the premiere museum for the Detroit region history. Fort Mackinac-has the oldest building in Michigan on it. It takes you back to the days when the British controlled the fort. Colonial Michilimackinac-view pictures of this outpost pretty much as it was in the 1700's. Henry Ford Museum-a wonderful museum filled with historical automobiles, from JFK's limousine, to Rosa Parks bus to the Weinermobile. You will find more than cars here, though. Check out the interactive map on its' website. 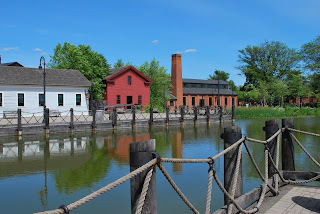 Greenfield Village-on the grounds of the Henry Ford Museum. Go back in time to seven historical villages depicting the life and times of Henry Ford, Thomas Edison and more. 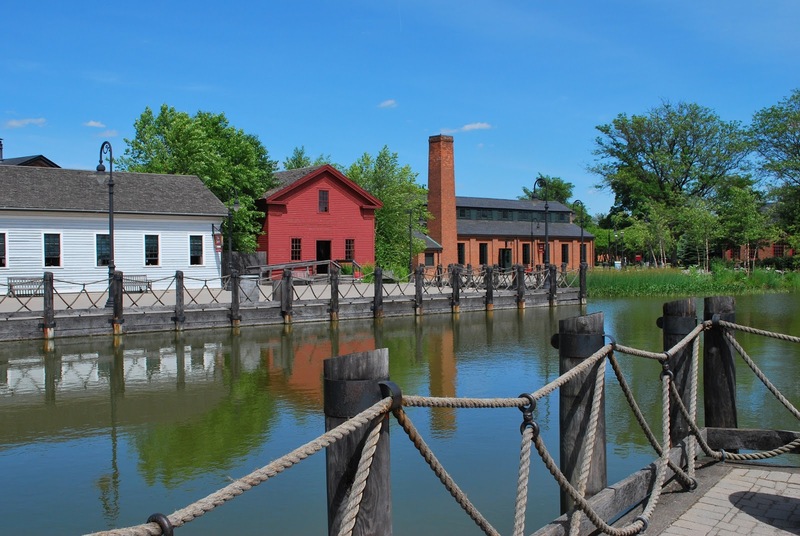 Michigan Heritage Park-in Northern Muskegon county, near Whitehall, takes the visitor through 10,000 years of Michigan history. Many local museums and historical societies have living history areas in their smaller museums, be sure to check the area you are visiting for some of these gems. You have your ancestor's birth, marriage and death information, now take a little time to put your ancestor in context to how they were living. Living History can give you a picture of what it was like for your ancestors to go about their daily home and work life and have a little fun while doing it.